Hey students… Let’s face it, buying normal notebooks over and over again for classes can take a toll on your wallet, as well as the environment after the life of the notebook has ended. Good thing Rocketbook has a solution to just that with their newest notebook on the market, the Everlast. The Everlast Notebook has so much to offer with a very small price and endless reusability so you never have to buy another notebook again. All you need is the Everlast Notebook, any pen from the Pilot Friction line, and the Rocketbook App for iOS and Android. 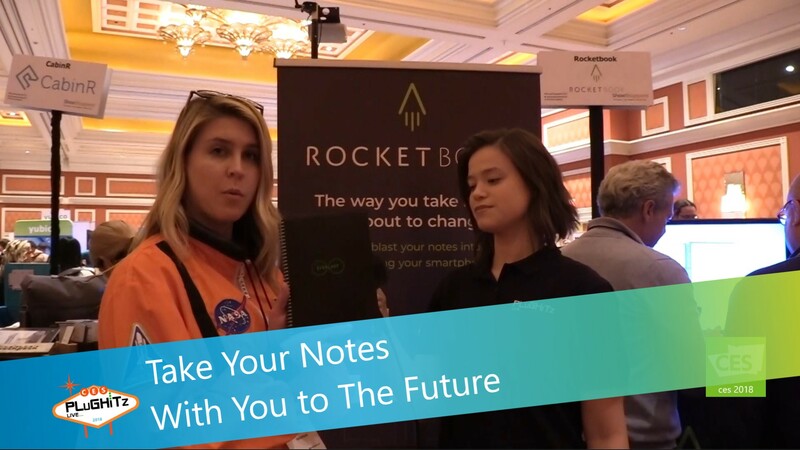 You can then take notes on any page, use the app to scan the notes digitally and now they can go anywhere you want them through email, iMessage, or even store them on a cloud service. When you’re done with a day’s notes and you have synced them to the app, you can then take a moist towel and start all over with countless notes taken on the same notebook. This book has another special feature. The front of the notebook has seven symbols that you can pair with specific locations in any cloud storage. This mean you can write out a page of Calculus notes, physically check the specified symbol on the note page, i.e. Google, and when you scan the page in the app, the file will automatically be saved to your Google drive in the “Math” folder. What? That’s right. It’s the perfect solution for taking and storing any kind of notes, artwork, doodles or even your little black book… the possibilities are endless. And you don’t have to worry about dropping your notebook in a puddle on the walk home, or the dog eating your notes. We simply can’t say enough about this ingenious product. Spend less, carry less, save all of your information and stay environmentally friendly to boot! Get your Everlast Notebook today on Amazon for $34.00. Interview by Marissa Schiereck of The New Product Launchpad.